This new Samsung gadget will be announced and revealed this September at the IFA 2010 event, that will take place in Berlin between 3 and 8 September. 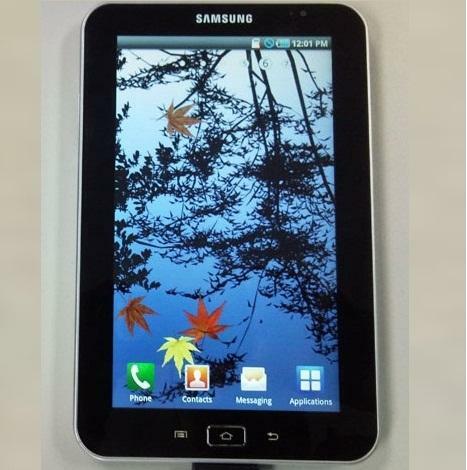 Samsung Galaxy Tablet P1000 features a 7 inch touchscreen display, a 3.2 megapixels camera and also a front camera, 1 GHz ARM11 S5PC110 processor, FlashPlayer and runs Android 2.2. It seems that the first carrier that will launch this phone is Vodafone, but this is just a rumor because Vodafone doesn’t have yet a release date for this device. We don’t know anything about the price but assuming that this device has almost the same features as the Galaxy S, the price should be about the same.